Fielder, G. E., Friedman, V. A., Kramer, C. E., & Rudin, C. (2010). Bai Ganyo: incredible tales of a modern Bulgarian . University of Wisconsin Press. Fielder, G. E. (1993). The semantics and pragmatics of verbal categories in Bulgarian . Lewiston: Edwin Mellen Press. Fielder, G. E. (2018). Translating the Untranslatable: The Language of Bai Ganyo.. In Festschrift for Tatyana Stoicheva . University of Sofia. Fielder, G. E., & Catalano, T. (2017). Othering others: Right-wing populism in UK media discourse on "new" immigration. In Representing the Other in European Media Discourses. Discourse Approaches to Politics, Society and Culture. . John Benjamins. Fielder, G. E. (2015). Care and Maintenance of a Standard Language: Macedonian in the 21st Century. In VIII Macedonian-North American Conference on Macedonian Studies (pp 35-46). Skopje, MK: University of Cyril and Methodius. Fielder, G. E. (2015). Partition, Linguistic Identity and Language Standardization. In On Macedonian Matters: From the Partition and Annexation of Macedonia in 1913 to the Present (pp 185-225). München, Berlin, Leipzig, Washington D.C.: Verlag Otto Sagner. Fielder, G. E. (2015). Triangulations: Navigating Distance in Interaction. In Distance in Language: Grounding a Metaphor (pp 215-242). Amsterdam: John Benjamins. Fielder, G. E. (2010). Ama, a Bulgarian Adversative Connective. In South Slavic Discourse Particles (pp 23-44). Fielder, G. E. (2008). Bulgarian Adversative Connectives: Conjunctions or Discourse Markers?. In Crosslinguistic Studies of Clause Combining: The multifunctionality of conjunctions. (pp 79-97). Fielder, G. E. (1990). Narrative Context and Russian Aspect. In Verbal Aspect in Discourse: Contributions to the Semantics of Time and Temporal Perspective in Slavic and Non-Slavic Languages (pp 263-284). Fielder, G. E. (1985). Aspect and Modality in Bulgarian Subordinate Clauses. In Scope of Slavic Aspect (pp 181-193). Fielder, G. E. (1985). Implicature and the Aspect of the Infinitive in Russian. In Issues in Russian Morphosyntax (pp 73-90). Fielder, G. E., & Catalano, T. (2018). European Spaces and the Roma: Denaturalizing the naturalized in online reader comments. Discourse & Communication . Fielder, G. E. (2015). The Konikovo Gospel and the Spatiality of Translation in the Balkans. Balkanistica , 28, 131-150. Fielder, G. E. (2012). Authenticity and the sociolinguistics of Macedonian. Balkanistica , 25, 33-55. Fielder, G. E. (2012). Lost in translation: Discourse markers in Bai Ganyo. Balkanistica , 25, 291-302. Fielder, G. E. (2008). Macedonian discourse markers in the Balkan Sprachbund. Sprachtypologie und Universalienforschung - STUF , 61, 120-127. Fielder, G. E. (2002). A Phoenix from the Ashes: The Resurrection of the Bulgarian Perfect. International Journal of Slavic Linguistics and Poetics , 44-45, 109-127. Fielder, G. E. (1999). Auxiliary Variation in Eastern Macedonian Dialects: A Discourse Analysis of Pehčevo Oral Narrative. Indiana Slavic Studies , 10, 57-69. Fielder, G. E. (1999). The Origin of Evidentiality in the Balkans: Linguistic Convergence or Conceptual Convergence?. Mediterranean Language Review , 11, 59-89. Fielder, G. E. (1997). The Discourse Properties of Verbal Categories in Bulgarian and Implications for Balkan Verbal Categories. Balkanistica , 10, 162-184. Fielder, G. E. (1996). Distance as a Prototypical Verbal Category in Bulgarian. Balkanistica , 9, 210-225. Fielder, G. E. (1995). Narrative Perspective and the Bulgarian L-Participle. The Slavic and East European Journal , 39, 585-600. Fielder, G. E. (1992). Imperfect/Aorist Coding in Negated Propositions in Bulgarian. Sapostavitelno Ezikoznanie/Sopostavitel'noe Jazykoznanie/Contrastive Linguistics , 17, 28-32. Fielder, G. E. (1990). Aspect and Lexical Semantics: Russian Verbs of Ability. The Slavic and East European Journal , 34, 192-207. Fielder, G. E. (1988). Tense Neutralization in Bulgarian, English, and Russian. Supostavitelno Ezikoznanie/Contrastive Linguistics , 13, 28-36. Fielder, G. E. (1984). Aspect Use of the Present Tense in Subordinate Clauses. Balkansko Ezikoznanie/Linguistique Balkanique , 27, 21-33. Fielder, G. E. (2018, Spring). Bible Translation and Language Recognition on Balkan Slavic Territory. In American Contributions to the XVI International Congress of Slavists . Fielder, G. E. (2015, November). Bible Translation as a Linguistic Act of Identity. In Proceedings from the Eighth Macedonian-North American Conference on Macedonian Studies . Fielder, G. E. (2016, Spring). Translating the untranslatable: the language of Bai Ganyo. In Proceedings of the 3rd International Congress on Bulgarian Studies, 23-26 May 2013 , 89-96. Fielder, G. E. (2008, Spring 2008). Discourse Markers in Macedonian: Balkan or Slavic?. In VI Makedonsko- severnoamerikanska konferencija za makedonistika (Ohrid, 11.-13. VIII 2006) , 27-36. Fielder, G. E. (2018, August). Bible translation and language recognition on Balkan Slavic territory . 16th International Congress of Slavists. University of Belgrade, Belgrade, Serbia: International Congress of Slavists, University of Belgrade, Serbian Academy of Sciences. Fielder, G. E. (2018, September). Metalinguistic dimensions of the Macedonian-Bulgarian Friendship Treaty . 10th Macedonian-North American Conference on Macedonian Studies.. Ohrid, Macedonia: University of Cyril and Methodius, Skopje, Macedonia. Fielder, G. E. (2018, Spring). The Myth of the definite article rule . 21st Biennial Conference on Balkan and South Slavic Linguistics. Montana State University, Billings, MT: Montana State University, Billings, MT. Fielder, G. E. (2018, Summer). Centripetal and centrifugal forces in mediated sociolinguistic change: Competing standard language ideologies in Bulgarian mass media . Sociolinguistics Symposium 22. University of Auckland, New Zealand. University of Auckland, New Zealand: University of Auckland, New Zealand. Fielder, G. E. (2017, Spring). Takin' it to the Streets: Language Ideology in post-1989 Bulgaria . Kenneth E. Naylor Memorial Conference. Columbus, Ohio: Ohio State University. Fielder, G. E. (2016, April). Competing ideologies of language, dialect, vernacular and translation in the 19th Balkans . 20th Balkan South Slavic Conference. University of Utah, Salt Lake City, Utah: University of Utah. Fielder, G. E. (2016, August). Recalibrating norms in a standard language culture: the case of Bulgaria . International Symposium “Standard Language Ideology in the Slavic Lands.. Sapporo, Japan: Slavic-Eurasian Research Center at Hokkaido University. Fielder, G. E. (2016, October). Missionaries, Bible Translation and The Awakening of National Identity in the Balkans . COH Humanities Week. Tucson, Arizona: College of Humanities, University of Arizona. Fielder, G. E. (2015, July). "Come over into Macedonia and help us": Evidence of the Macedonian language in the first half of the 19th century . Macedonia: On the Periphery of European Modernity. Florina (Lerin), Greece: Australian Macedonian Human Rights Committee (Australia), EFA-Rainbow Party (Greece). Fielder, G. E. (2015, March). Bulgaria's Roma . Tucson Balkan Peace Support Group. Arizona Inn: Tucson Balkan Peace Support Group. Fielder, G. E. (2015, November). Bible Translation Revision as a Linguistic Act of Identity . 9th Macedonia-North American Conference on Macedonian Studies. Chicago, IL: University of Chicago. Fielder, G. E. (2015, October). Translation Tensions in Balkan Crossings . 38th Conference of The American Literary Translators Association: Translation & Traffic. 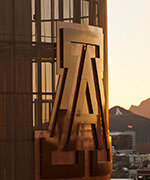 Tucson, AZ: University of Arizona/ALTA. Fielder, G. E. (2010. Jouko Lindstedt, Ljudmil Spasov, and Juhani Nuorluoto (eds.). The Konikovo Gospel/Кониковско евангелие: Bibl. Patr. Alex. 268(pp 123-125). Fielder, G. E. (2009. A Dictionary of Turkisms in Bulgarian. Institute for Comparative Research in Human Culture(pp 341-342). Fielder, G. E. (1998. A New Slavic Language Is Born: The Rusyn Literary Language of Slovakia(pp 347-348). Fielder, G. E. (1996. Studies in Macedonian Language, Literature, and Culture: Proceedings of the First North American-Macedonian Conference on Macedonian Studies, Ann Arbor, 1991(pp 905-906).